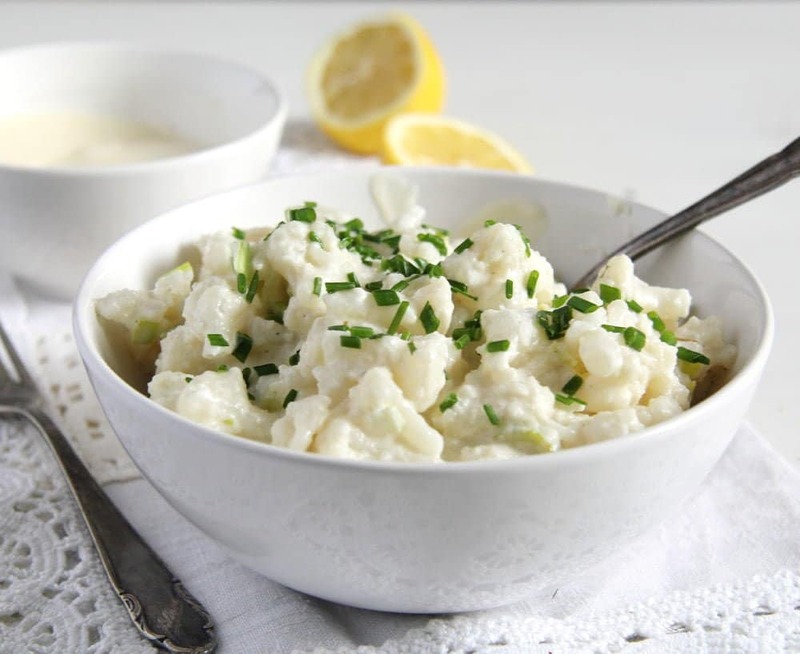 Tender cauliflower florets in a mayonnaise mustard and garlic dressing, this is a typical Romanian salad recipe. But when speaking about the mushroom mayonnaise salad, another staple in the Romanian kitchen, if you would like to make that instead, just swap the cauliflower for two well drained cans of sliced mushrooms. 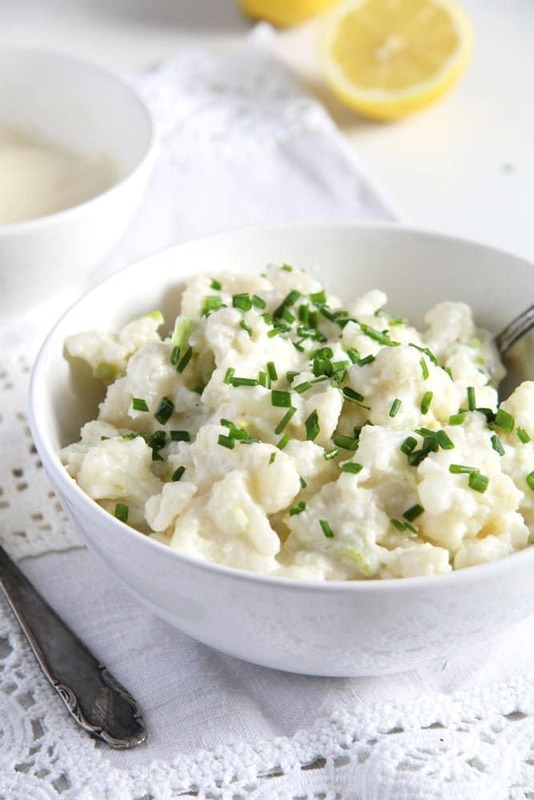 I haven’t had the cauliflower salad with mayonnaise in ages until just recently, but it only took one bite to be transported back to those teenage days. And I could not believe it that it took me so many years to finally make this salad myself, it is so good and so easy to make it should really become a more frequent affair. And don’t worry about the mayonnaise it contains, there are only two or three tablespoons of it in the salad and those divided into several servings. I always use homemade mayonnaise for this kind of salads, it is easy to make and it tastes much better than any brand I know, but you can use your favorite brand and even low-fat mayonnaise if you wish. If you do decide to make your own mayonnaise, which I strongly recommend, you could mix that with some yogurt in order to get a lighter mayonnaise. I do that especially when I need a larger quantity of mayonnaise for a dish. Like for example when making the Salad a la Russe or the Romanian Boeuf Salad. You could make both of them using plain homemade mayonnaise or thin that mayonnaise with some yogurt for a lighter taste and less calories. Oh, and I only use the cauliflower florets for this Cauliflower and Mayonnaise Salad. 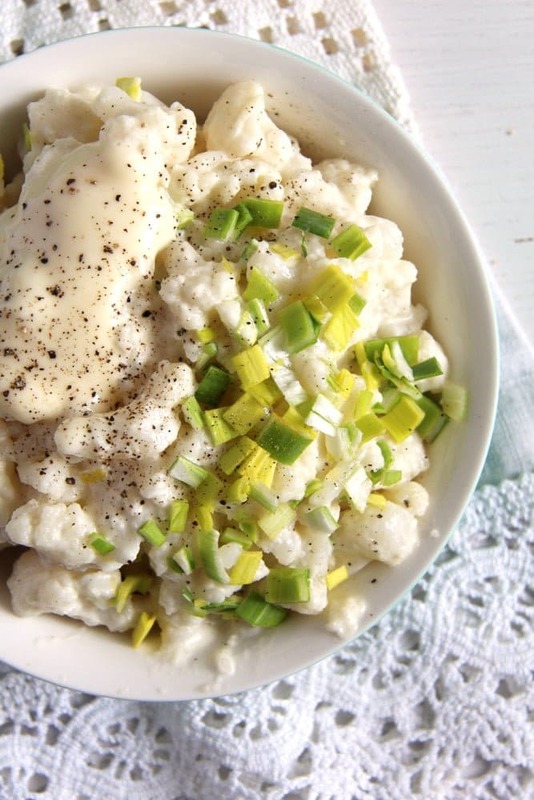 But do not discard the stem, you could use it to make these wonderful Mashed Cauliflower and Potatoes or a creamy cauliflower soup. Otherwise I hope the weather is treating you well. We had the most amazing summer weather during this past week and according to the weather forecast this wonder should go on for another week. We spend most of our free time in the garden or at the lake in the next village, the kids are beyond happy to be able to spend so much time in the sun and in the water. Divide the cauliflower into small florets. Bring a large pot of water to a boil, add some salt and the cauliflower and cook the cauliflower florets until soft but not mushy. About 5 minutes from the moment when the water comes to a boil again, but keep checking. Drain the cauliflower thoroughly and let cool. 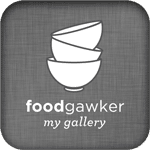 Place the cauliflower florets into a bowl. In a small bowl mix together the mayonnaise, mustard, lemon juice, grated garlic and salt and pepper to taste. Give the dressing to the cauliflower and mix carefully. Garnish with finely chopped scallions, leeks or chives and serve chilled with bread, crackers or as a side dish. 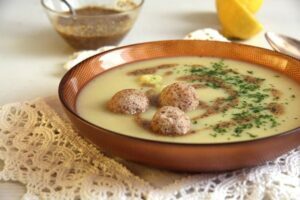 Have never had cauliflower prepared this way…it seems simple and very delicious, Adina. 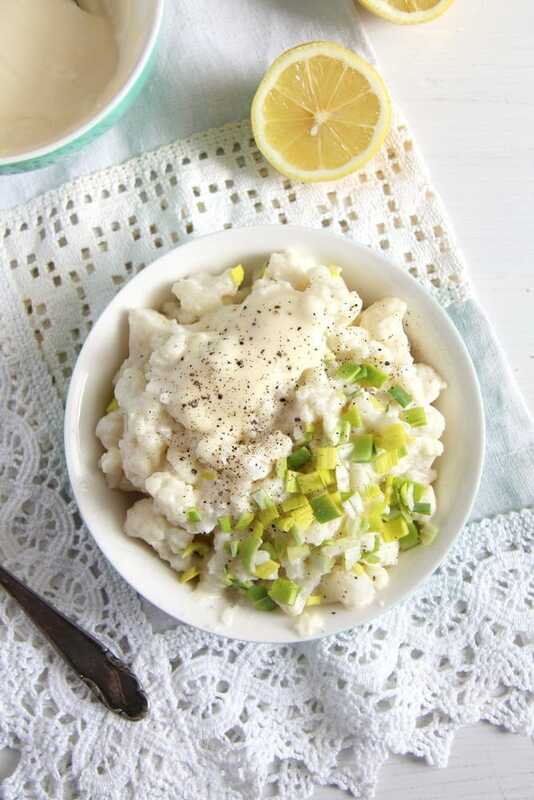 I’ve never thought to serve cauliflower this way but it’s such a great idea – it’s like a lower carb version of potato salad, love it! Time in the garden and time at the lake both sound amazing to me! And I’m so intrigued by this salad – it’s a new one to me but I adore cauliflower and it looks so creamy! Gonna have to try it! One more original cauliflower dish! It looks at first a bit like a potato salad, but it’s lighter and healthier…and, I’m sure, equally delicious. I love this salad! I add dill to it yet. This is similar to a salad I make that combines cauliflower and broccoli so I can imagine how good this tastes. I’m happy to hear that you and your family are getting t enjoy some very nice weather, hope it continues. This is such a delicious salad! I use to make it frequently. But mostly in autumn when it’s cauliflower’s season.